The Distrito Nacional is a subdivision of the Dominican Republic enclosing the capital Santo Domingo, so it is not in any of the provinces. It is a municipality but, in some aspects, it is like a province; for example, it elects one senator to the congress. Before October 16, 2001, the Distrito Nacional was much larger, including what is now the Santo Domingo Province. The Distrito Nacional ("National District") is in the south coast of the country. It has the Santo Domingo province to the north, east and west, and the Caribbean Sea to the south. 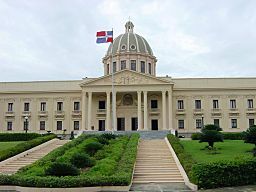 The Distrito Nacional was created by the Dominican constitution of 1844 as a province: the Santo Domingo province (different from the modern province of the same name). 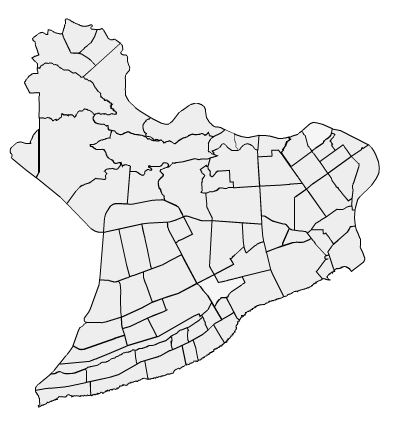 It had the municipalities of Santo Domingo, Baní, San Cristóbal, San José de Los Llanos, Monte Plata, Bayaguana and Boyá. In 1932, its name was changed to Provincia Nacional and all municipalities that were to the north of the Isabela and Ozama rivers became part of the San Cristóbal province. In 1934, the name was changed to Distrito Nacional and, instead of a province, it became like a municipality. The name was changed again to Distrito de Santo Domingo but the 1955 constitution changed it back to Distrito Nacional. In 2010 (last national census), there were 965,040 people living in the Distrito Nacional, second only to the Santo Domingo province. The population density was 10,535.4 persons/km², the highest density in the country. Its population represents 10.22% of the total population of the country and the province is ranked as the 2nd (out of 31 plus the National District) more populated administrative division. As of 2016[update], the total estimated propulation of the province is 1,015,150 inhabitants. The Distrito Nacional is a single municipality, with a total area of 91.6 km2 (35.4 sq mi). It has 0.2% of the area of the Dominican Republic and it is ranked as the 32nd, the smallest administrative division of the country. The two important rivers in the Distrito Nacional are Ozama and Isabela. The river Ozama is the eastern limit of the Distrito Nacional and separates it from Santo Domingo Este, head municipality of the Santo Domingo province. The river Isabela, a tributary of the Ozama, is the northern limit of the Distrito Nacional and separates it from Santo Domingo Norte. The climate of the province is a tropical climate, warm during the whole year. Distrito Nacional Facts for Kids. Kiddle Encyclopedia.